Ivan Daniel born in Los Angeles CA, four decades of Entertainment Experience with extensive theatre, Radio, Fashion, television, event/production expertise. Very early on in my profession I began with community variety shows, and in the 70’s began television and Film Acting as featured Child Extra on several TV/Film projects including Shaft, and 70’s hit sitcoms. I attended Birmingham High School which was well noted as a performing arts high school and which created the opportunity to explore Dance/Theatre, and produced social activities for students. I decided to attend San Diego State University and majored in Television and Film, and under the direction of Dr. Danny Scarborough founder the SDSU Black Dance Troupe which won a Public Emmy for “ROOTS” production. I wanted more training/technique. I auditioned and entered the prestigious LACC Theatre Academy, where I Produced and Directed in “STAND” a musical for MLK Day. I was lead actor in Shadow Box and Purlie Victorious stage plays, and studied voice and took advanced classes in Radio Broadcasting. Riding the wave of social change in the 90’s an era of Hip Hop firmly planted in America provided a platform for various video appearances. I also became a HIV/AIDS activist serving as a health educator for HIV/AIDS community based organizations, and from 2000-2006 served as the entertainment coordinator Los Angeles Black Pride. I took my skills as an entertainer, salesman, and blended the spokesperson skills to become a sales manager for L’Oreal’s Soft Sheen Carson Division, while continuing to perform voiceovers, plays, fashion shows, and host night club promotions. In 2000 I created Ivan Daniel Productions a Los Angeles based productions company which produced hundreds of weekly and monthly nightlife events. . (IDP) Ivan Daniel Productions created FirstFridayzLA and Club Metro which lasted for more than 12 years. I was the first Urban Hip Hop promoters in the West Hollywood Club circuit, and in essence we brought Hip Hop to West Hollywood. I am a former resident promoter the Robertson Group Penthouse West Hollywood. In 2015 I re-launched the Legendary CATCH ONE under new ownership, and called the UNION nightclub and I currently serve as the event ambassador. 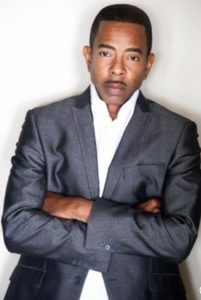 I am extremely passionate actor with a strong desire to produce reality shows, syndicated radio shows, TV talk shows, and to continue create platforms and connections for future generations.